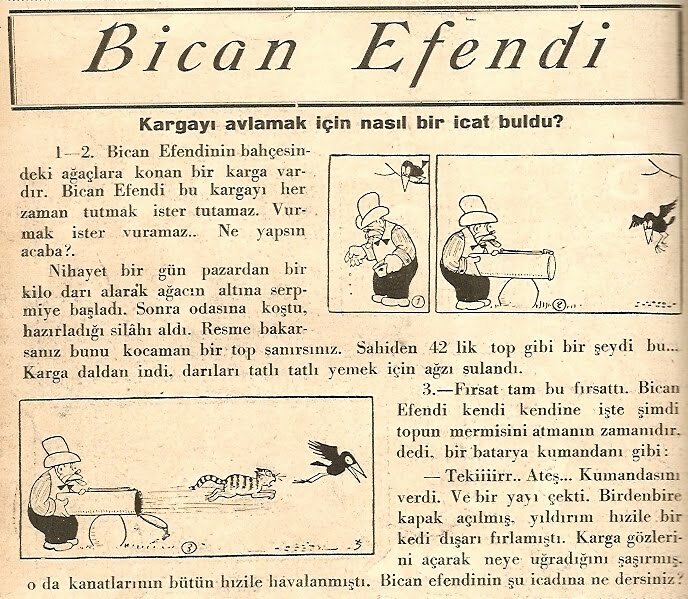 The Swedish gag-strip 'Adamson', featuring a cigar-smoking middle-aged man and created by Oscar Jacobson (1889-1945), was ran in the Turkish children's magazine Çocuk Sesi between 1934-36. 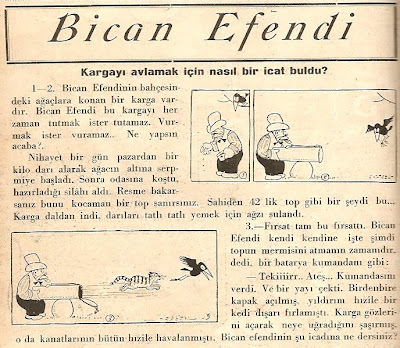 The Turkish edition was initially titled as 'Bican Efendi', probably in an allusion to the Turkish short comedy film series from 1921 with the same name. However, the title was soon changed into 'Bican Aktüre' with the hero given a 'proper' a surname, in keeping with the government's modernization reforms which entailed introduction of surnames in Turkey! As seen in the above scan (from no. 252, dated Oct. 22nd, 1934), the strip was accompanied with extensive extra-panel texts in the Turkish editions. Adamson was reportedly syndicated in several other countries the throughout world.